Australia’s largest family-owned fresh produce company, Perfection Fresh, has acquired the exclusive rights to sell and market Calypso Mango. It acquired the rights from OneHarvest, a fresh produce supplier to supermarkets and green grocers. The acquisition now gives Perfection Fresh control over the supply of more than a third of Australia’s domestic mango sales. Chief Executive Officer of Perfection Fresh, Michael Simonetta, said his company is now looking to increase the consumption of the fruit, both domestically and abroad. “We are thrilled to bring Calypso Mangoes into our family of products and brands and will work closely with the Calypso grower network and supply chain to ensure we deliver a consistently high quality product with full season availability for the major chain stores and independent retailers,” Simonetta said. “We plan to drive sales with tailored and targeted consumer campaigns focussing on the unique attributes of Calypso Mangoes and the health benefits of consuming mangoes,” he said. Calypso Mangoes, scientifically known as B74 Mangoes, are regarded for being vibrant in colour, containing a large amount of flesh and having a long shelf life. The mangoes are grown in the northern regions of Australia. Ten million kilograms of Calypso’s were grown last mango season. Production is expected to significantly grow this coming summer season. 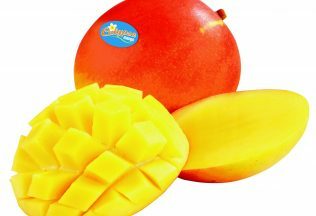 Perfection Fresh already owns the rights to Kensington Pride, Pearl, Keitt and R2Ed mango varieties. The company was founded by Tony Simonetta and employs more than 500 full-time workers. It is responsible for introducing a variety of new fruit and vegetables to Australia including broccolini, baby snacking cucumbers and The Kumato tomato.